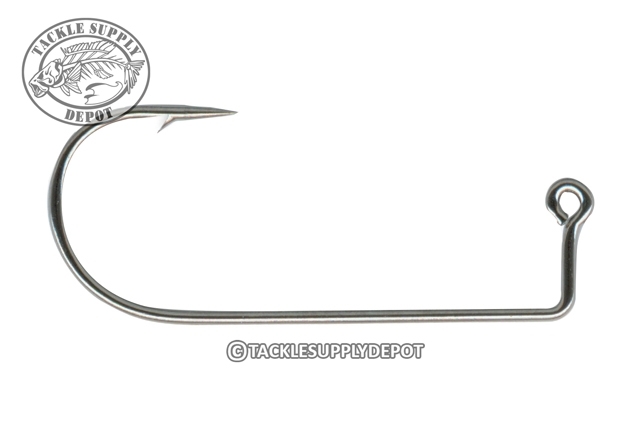 Mustad 32746NP-BN Aberdeen round bend jig hooks feature a chemically sharpened needle point and fit many popular Do-It jig molds. Special tempering for strength, 90 degree bend eye shank for use in jig molds such as tube, ball, darter and football head. Black Nickel Finish. 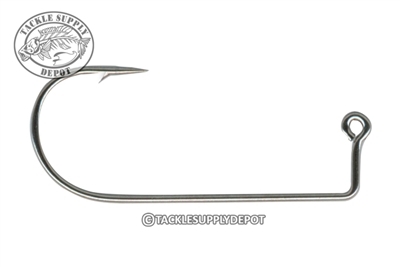 A good hook for small mushroom jigs and small swimbait heads.